Chicago Doorways offers a wide variety of stock and custom hollow metal doors and frames from leading manufacturers. Our expert staff works with you to recommend the right doors for your project and budget. We stock hollow metal doors in many common sizes or can order any custom size. 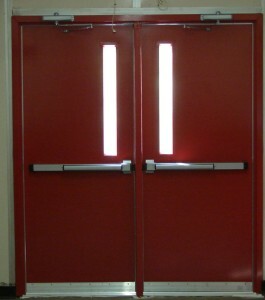 We can also customize doors in our state-of-the-art, UL-certified metal shop.